Today’s homes burn faster and hotter than ever, which means you may only have a minute or two to escape safely. According to the National Fire Protection Association (NFPA) statistics, "while the number of U.S. home fires has been steadily declining over the past few decades, the death rate per 1,000 home fires that are reported to fire departments was 10 percent higher in 2016 than in 1980." These statistics show that while there are fewer fires, the ones that do happen are deadlier, so it is important to learn how to prevent fires to the best of your ability and to use your escape time wisely, if and when a fire does happen. Smoke alarms can mean the difference between life and death in a fire. They can detect and alert people to a fire in the early stages and can cut the risk of dying in a home fire in half. -Make sure to install smoke alarms in every bedroom, outside each separate sleeping area, and on every level of the home, including the basement. 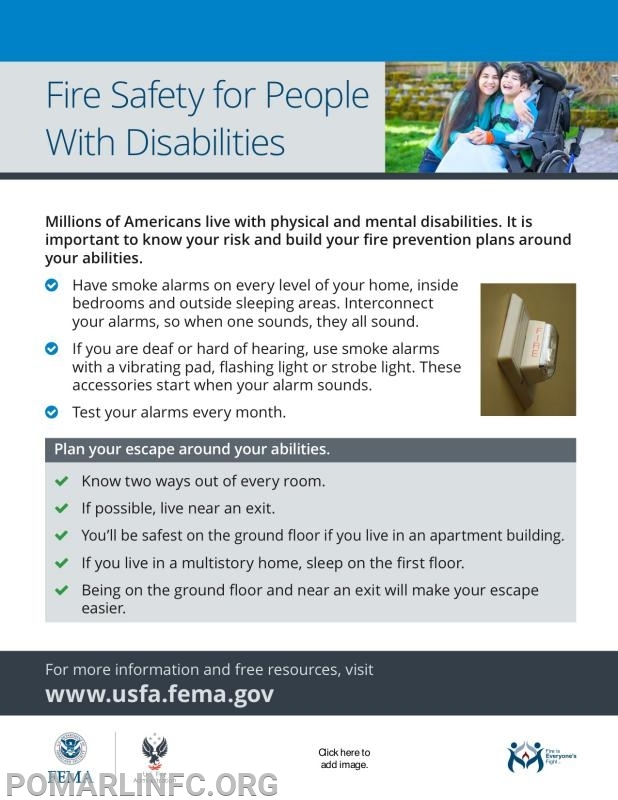 -Make sure everyone knows the sound of the smoke alarm and knows how to respond. -Don’t forget to test your smoke alarms at least once a month. Cooking is the leading cause of home fires and home fire injuries. And unattended cooking is the leading cause of fires in the kitchen. Stay in the kitchen when cooking and keep flammable items away from your stovetop like paper towels, dish towels, pot holders etc. As we prepare for the colder months it’s important to be aware of heating equipment, because it’s one of the leading causes of home fires during the winter. Be especially cautious with space heaters- they are the type of equipment most often involved in home heating equipment fires. -Keep flammable items at least 3 feet away from heating equipment. -Have a 3-foot “kid-free zone” around open fires and space heaters. -Have a qualified professional install heating equipment. -Maintain heating equipment and chimneys by having them cleaned and inspected by a qualified professional. Please clean your chimneys. A chimney fire can quickly become a house fire. 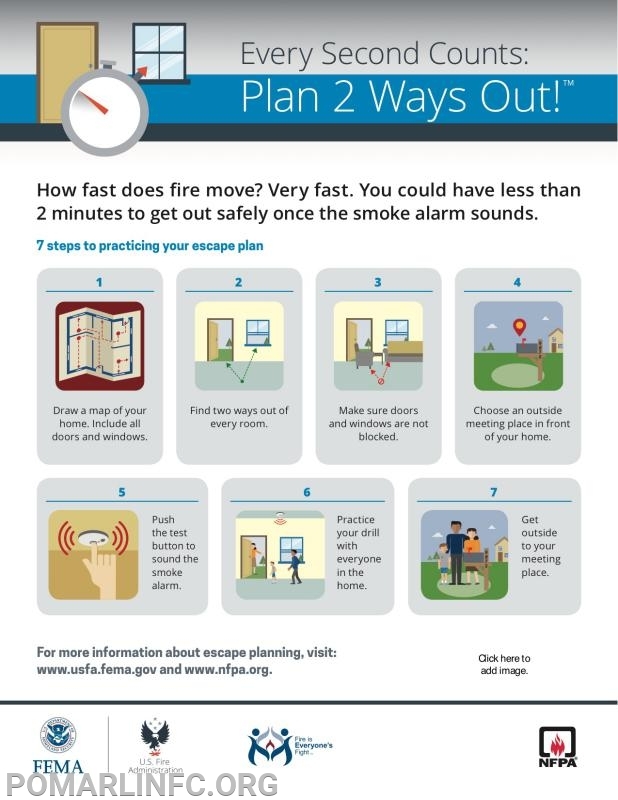 Make a fire escape plan and practice it! -Two exits from every room in the home- usually a door and a window. -Properly installed and working smoke alarms. -A meeting place outside, in front of the home, where everyone will meet after they exit. -A call to 9-1-1 or the local emergency number from a cell phone or a neighbor’s phone. Who is in your home? Older adults? Young children? People with Disabilities? What changes or adaptations can you make so that everyone is near a smoke alarm and an exit? Join us on Monday, October 15, 2018, for our Community Open House to learn more about fire prevention. We’ll see you there!